Did you kick your way through those leaves and break the silence in a joyful way? Beautiful and serene. 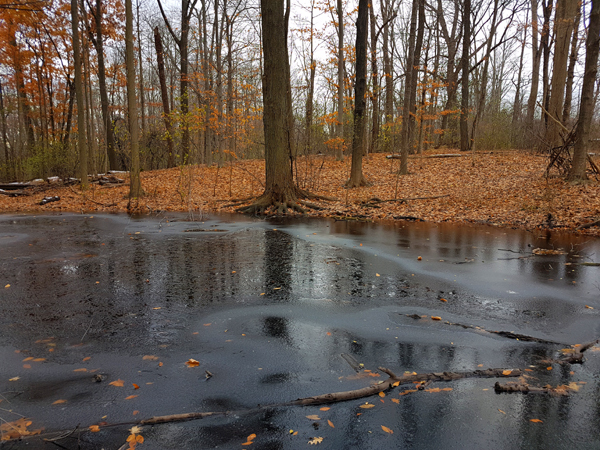 Is that ice forming on the Pond? We don’t get snow and ice here and if it is,it looks magical. Thank you! Yes, Lee. The ice gives it an ethereal quality.